When you close your eyes and think of California, what famous brand comes to mind? Is it Apple? Facebook? Google? Or some movie studio? What about Texas? New York? Florida? 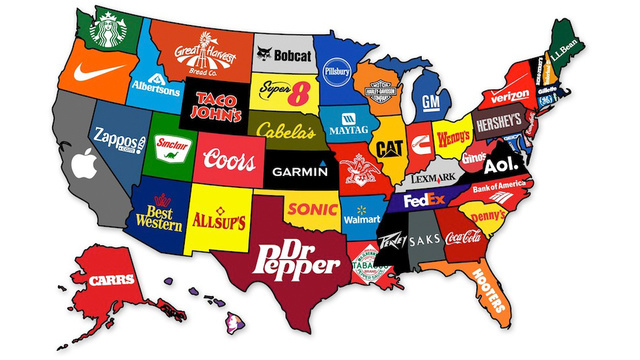 These are the most famous brands of each state. The Corporate States of America, if you will. 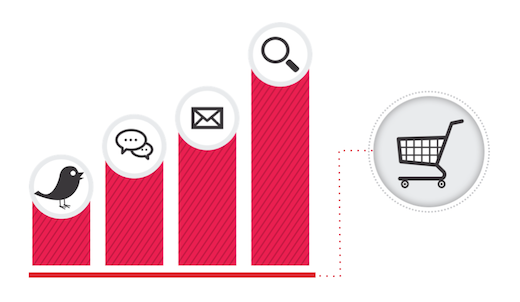 As we’ve discussed in many previous posts, the customer journey is evolving — most consumers will interact with many different marketing channels before a sale or conversion. And marketers are recognizing this shift in consumer behavior. Instead of “last click” measurement, a strategy that only gives credit to the final interaction, they’re turning to full credit measurement. To help you make sense of the full customer journey, we’ve been focused on bringing you the very best full credit measurement tools in Google Analytics. Nearly two years ago, we announced our first Google Analytics attribution product, Multi-Channel Funnels. With its ability to measure customers’ different paths to conversion, it quickly became one of our most popular reports for advertisers and publishers alike. We’ve seen great results from our users, including online travel agency On the Beach, who used data from the Multi-Channel Funnels reports and AdWords Search Funnels to explore and adjust their strategy for generic keywords. These attribution adjustments helped On the Beach to drive a 25% uplift in ROI — see the full case study here. Beyond Multi-Channel Funnels, we also wanted to provide our users with an advanced platform for testing entirely new, more robust attribution strategies, including the ability to test alternative models or understand how metrics, such as site engagement, could impact their existing investments. So last year we released our Attribution Modeling feature — the Model Comparison Tool. After several months of testing on a public whitelist, we’re now in the process of rolling out the Attribution Model Comparison Tool to make it generally available to Google Analytics users without whitelist. To reflect the importance of attribution, we also created a new “Attribution” section under the “Conversions” reports, so the tool will be found there. Be sure to check out a previously recorded webinar with Product Manager Bill Kee for a complete walkthrough of the Attribution Model Comparison Tool, or view our multi-part attribution webinar series covering our entire selection of full-credit measurement tools.